When Florida voters – 74%, or nearly 2 million of them – voted “yes” on Amendment 4 last year, we celebrated joyously. This measure would exempt solar and wind energy devices from being added to a property’s assessed value for property tax purposes for businesses. It would also remove Florida’s “tangible personal property tax,” which taxes solar equipment installed on properties. These taxes were a big part of why there isn’t more rooftop solar in Florida since the taxes on leased rooftop solar has eliminated much of the financial benefit. That such a huge majority of voters supported Amendment 4 is truly a cause for celebration. By voting for this legislation, residents of the Sunshine State were very clearly renouncing our continued dependence on fossil fuels and Florida policy that has served to stifle solar proliferation for years. We would like to thank YOU for your support in this! With the passage of Amendment 4, all that remained was for the Florida legislature to implement the will of the people. 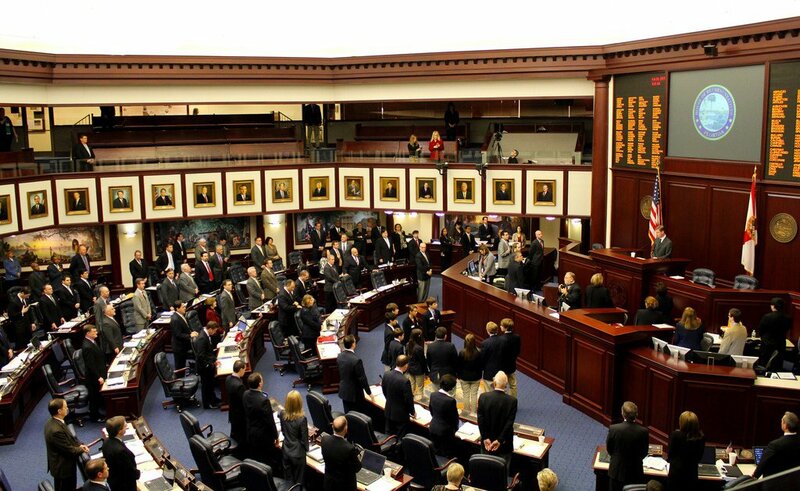 In the Florida Senate, SB 90 was a clean implementation bill, adhering to the original 742-word amendment approved by voters. Yet, once the measure reached the House, the clean version was overtaken by special interests. Florida State Representative Ray Rodrigues – who, by the way, received contributions of $15,000 from Florida Power & Light and $2,000 from Tampa Electric to his political committee on January 18 of this year, according to a story by the Miami Herald – made significant additions to the bill that would impose almost impossible disclosure and paperwork requirements for companies that finance and install solar energy products on homes and businesses. News reports showed that numerous sections of these amendments were lifted, word for word, from model legislation FP&L provided to Rep. Rodriguez in advance of authoring the bill. While the final version is not as odious as Rep. Rodrigues’ initial effort, it’s still not entirely what we overwhelmingly voted for. HB 1351 exempts 80% of the value of a renewable energy source device installed on or after January 1, 2018, from being considered in the assessed value of a property (rather than the 100% voters expected). It also “establishes disclosure requirements and penalties related to certain agreements to sell or lease distributed energy generation systems …” meaning that solar practitioners will have additional disclosure and paperwork requirements on top of already strict business regulations in our industry. The legislation has passed the House and Senate and now the bill makes its way to Governor Rick Scott’s desk. Subject to the Governor’s veto powers, the effective date of this bill is July 1, 2017, with expiration on December 31, 2037. So while we celebrate the pro-solar views of Florida residents, it’s time for Floridians to stand up and say “enough!” It’s time for residents to insist that legislators hear the will of the people and work to pass laws that protect our natural assets, reduce our dependence on fossil fuels, and enable new technologies to flourish. In no other industry are companies allowed to collude to restrict consumer choice. Yet the utilities’ stranglehold on energy distribution in Florida continues. Let’s keep working and fighting to make the Sunshine State live up to its nickname! 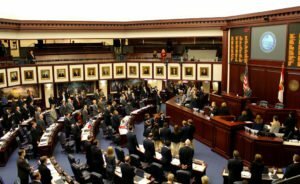 Tampa Bay Times: Are legislators ‘hijacking’ the will of voters or injecting common sense?